Installation. Collaboration with Luke Demarest, 2017. 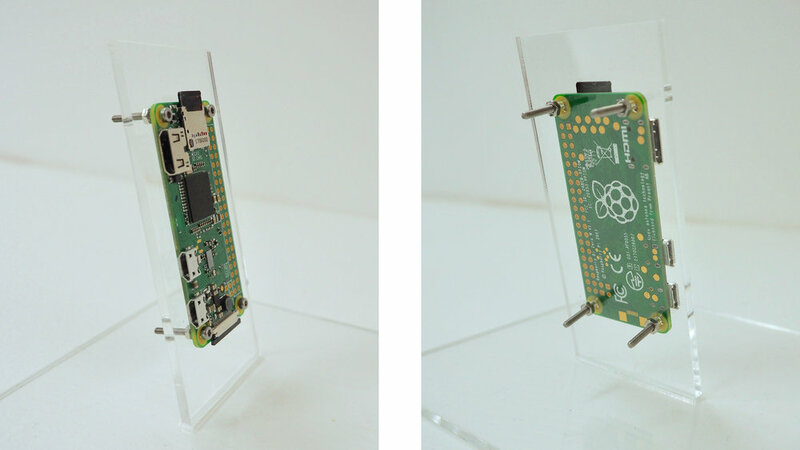 2 x Raspberry Pi Zero, acrylic, custom scripts, display. Interagency is an installation investigating the concept of software agency through the causal links between interacting virtual processes and the physical hardware on which they run. 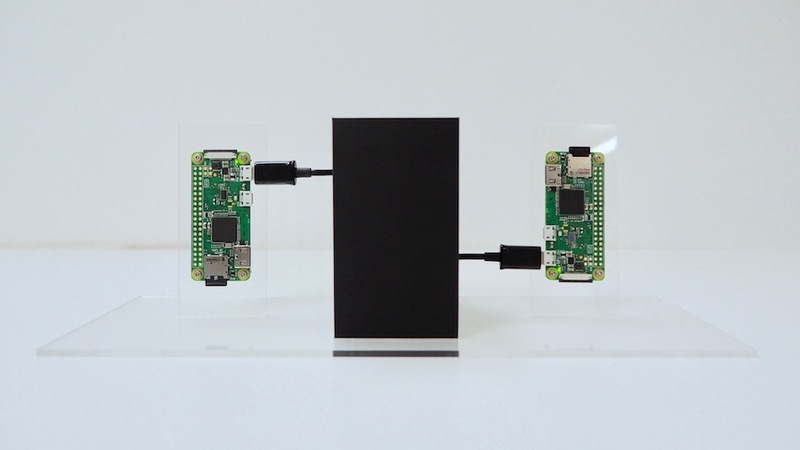 Two Raspberry Pi Zero computers connected by a WiFi network run software scripts that compete for system resources and perform opposing tasks, forming an ecosystem of autonomous processes with crisscrossed conflicts of interests. A screen displays a readout of both systems: the outputs of the scripts, process hierarchies, and data representing the physical state of the devices. Throughout their interactions, scripts running on one device attempt to raise the temperature of the other while preventing their own from overheating. In emphasising the direct link between virtual interests and physical consequences, the work aims to question the extent to which ascriptions of agency to software can be considered nonliteral.